Full of fun for you and your little ones! 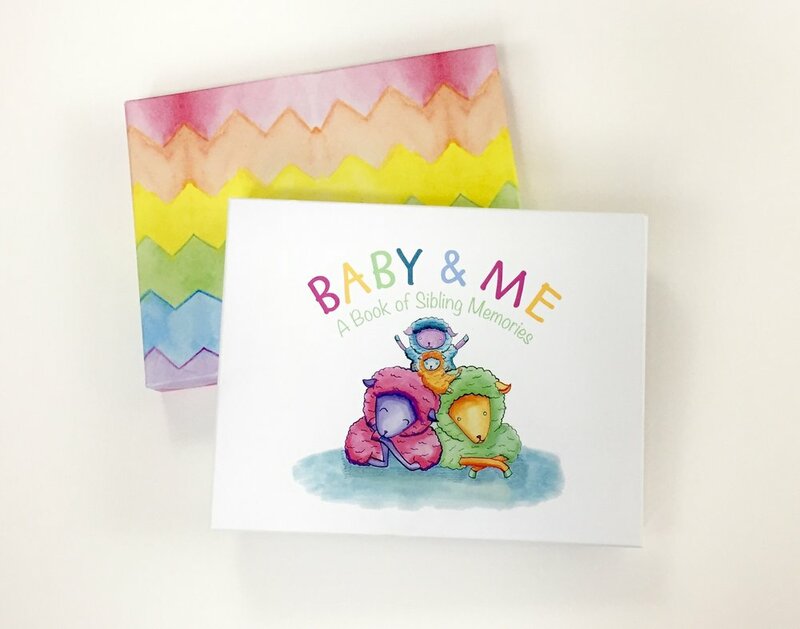 Each Baby & Me book is packaged inside of a custom gift box. Not only does it keep your memories safe when stored on the shelf, but it also makes for easy wrapping and shipping. Two pages of silly sheep face stickers are included with each Baby & Me book. Use stickers to decorate pages, secure pictures or just for fun! Fill-in-the-blank, crayon and marker friendly handwriting lines on multiple pages to personalize your Baby & Me story.